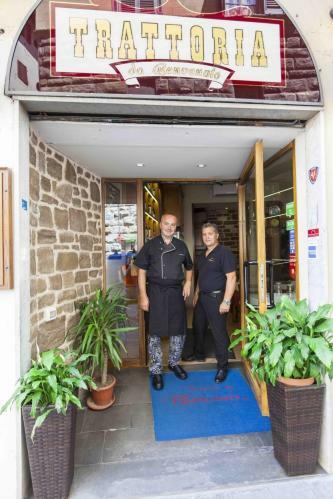 In the historical center of Florence, a few steps from Piazza della Signoria, Giuseppe, Leonardo and Silvano manage La Trattoria Benvenuto, one of the oldest trattorias in Florence that since 1943 is a reference point for all those who love good Tuscan cuisine. The years have passed but attention to the dishes and the search for the Florentine culinary tradition remains and distinguishes the restaurant. The day of lovers deserves a special atmosphere, and a dinner with all tastes! Choose to spend the Valentine's Day in the name of the most delicious Tuscan dishes! Discover our Valentine's Day menu 2019! For Valentine's dinner, you can choose to dine with the set menu or à la carte.